Na’vi River Journey Attraction in Pandora—The World of Avatar, opened on May 27, 2017, at Disney’s Animal Kingdom at the Walt Disney World Resort. Guests board a reed boat to glide down a gentle, mysterious river witnessing the beauty of Pandora. 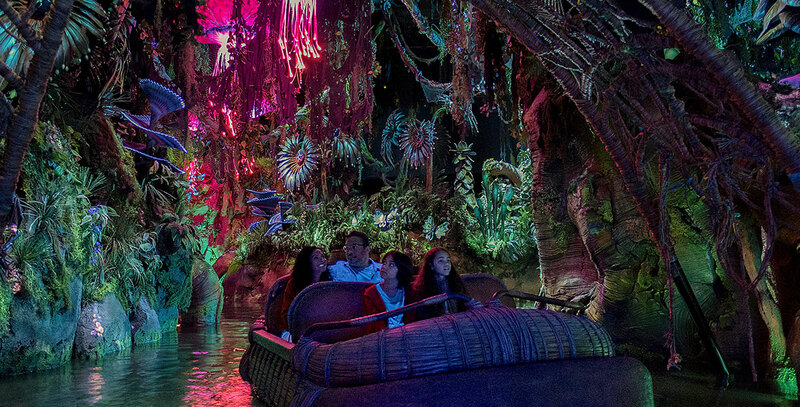 The boats coast through a series of caves, pass exotic glowing plants, and amazing creatures of the rainforest, and then comes upon the Na’vi Shaman of Songs, who demonstrates her deep connection to the life force of Pandora through music.